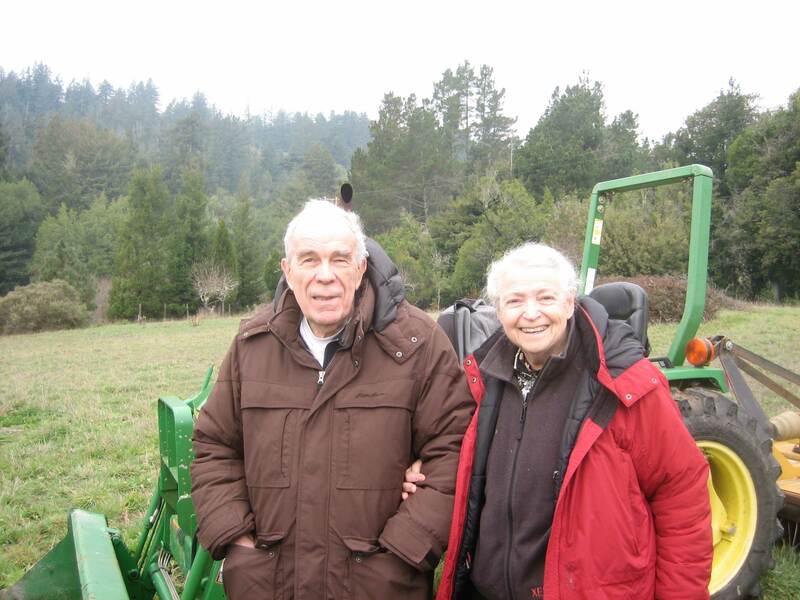 Last night, when I heard that Prof. Mildred S. Dresselhaus (although everyone affectionately called her “Millie”) had passed away, I thought it had to be a mistake! I had just seen her three weeks ago, and we’d been emailing constantly. How could she be gone so suddenly and unexpectedly? Today, with the mourning emails from the Institute, the School of Engineering, and the department, I realized that it was true and all I’d heard had, indeed, happened — Millie had left us forever. Irrepressible grief filled my heart, and my vision blurred as I realized tears had sprung up in my eyes. I rushed to the restroom to wipe away my tears, as I didn't want my colleagues to see me breaking down. Although I tried hard not to show my sorrow on my face, my colleagues knew how deep my sorrow cut me simply from observing my appetite. The whole day, I was only able to eat one small piece of cake and a cup of coffee, until I realized, idly, at midnight that my stomach was growling. I tried to eat but couldn’t. I just couldn’t eat anything more, and simply sat in my chair for a long, long time, staring out at the starry night sky. In the eyes of many across the world, Millie is known as a pioneer and a brilliant science who has earned nicknamed the “Queen of Carbon”. She is the recipient of countless high honors and prizes. 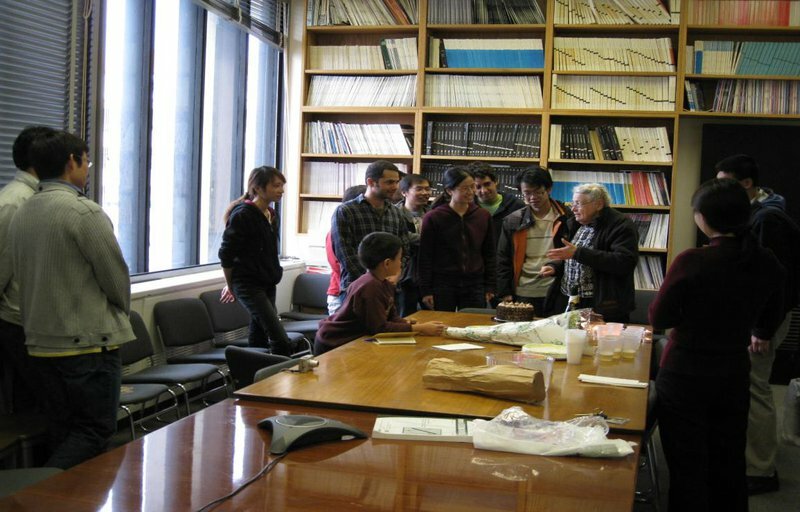 She worked at MIT for 57 years and had pioneered many different fields. She truly is a master among masters. I certainly agree with this assessment. It was 10 years ago that I first heard about Millie — I was an undergraduate, and was reading a book entitled, “One Hundred Reasons to be a Scientist”, to which Millie had contributed an article. I was deeply impressed by her amiable narrative, which was brilliant and clever but also light and refreshing as a spring breeze. At that time, I merely marveled at her from afar; I had no clue I’d be fortunate enough to work with her, a decade later. Many people can tell you about her contributions to science — but I want to talk about something more personal. I’d like to talk about how committed she was as a mentor. She gave me guidance and advice, of course… but that was the least of it. Millie’s heart was as open as her office door, and her kind advice was shared freely with any who dropped by. Yet the strength of her dedication and inspiration were more powerful than even the strong nuclear force, and it planted something within my soul that changed me, forever. This incredible force focused my mind and made my soul soar with scientific inspiration. The reason I wish to share this with you is not because I am the most qualified person to write such things — her students, postdocs, and many collaborators (some of whom are good friends of mine) know her better than I do. Nor is it only because I was fortunate enough to conduct my postdoc research under her guidance for the past year and a half. No; I share my recollections with you, here, out of sincere gratitude (and perhaps a touch of embarrassment), as my own personal memorial to Millie. Every word is a fruit or ornament that I leave at the metaphorical shrine to this inspiring and incredible scientist. Over the past decade or so, I have seen many people who worked very hard — but no one who matched Millie. The incredible enthusiasm and constant dedication and energy that Millie still maintained at the age of 86, during the last year of her life, was unparalleled. Even three weeks before she passed away, she was still revising students’ papers, emailing thoughtful suggestions, and continuing to work. She was always so driven to return her students’ papers to them as soon as possible! This meant so much to me. In the case of other professors, it is not uncommon for students wait for weeks or even months to get feedback on their papers. For Millie, this was never the case. She pushed herself to give her students feedback fast and immediately, even when she was traveling. As her student, I received revisions on my papers in one or two days, without delay (yes, you heard me right!). I want to emphasize that this was not because she had nothing else to occupy her time — in fact, she always had far too many things on her plate — but she felt a sense of dedication and duty to her students. 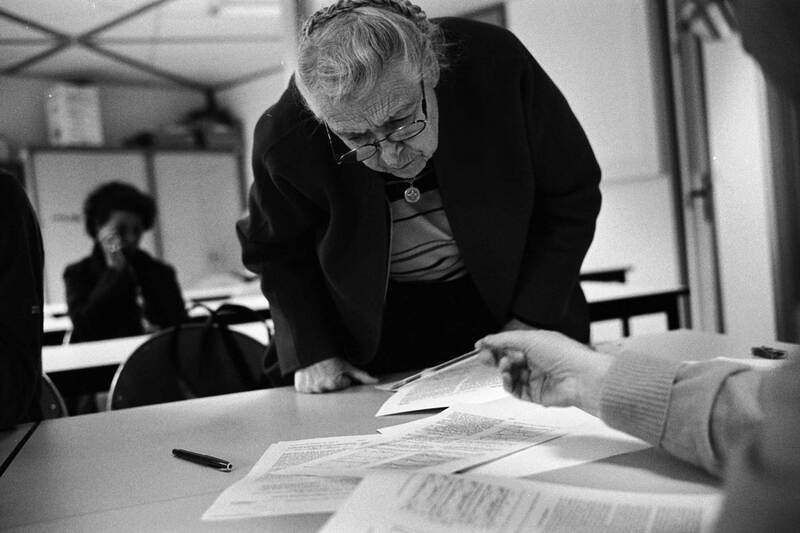 On a typical day, Millie would write as many as four recommendation letters for her students. When I asked about this, she smiled at me and said, “I really can’t stop, or it will pile up within a day!” I know that, every day, she had to prioritize her work and decide what she could and couldn’t do that day — and she always prioritized revising her students’ papers and writing their recommendations. That is really is putting her students first. Millie’s passion for her work is inseparable from her highly responsible attitude. Every time she went to a seminar, she would make sure to bring a pen and a paper, so she could take notes. Throughout the seminar, she would listen to every speaker, jotting down notes from time to time, and would ask them many questions — like a curious pupil who had just started the school year. In one hour of any given seminar, Millie would produce several pages of notes! 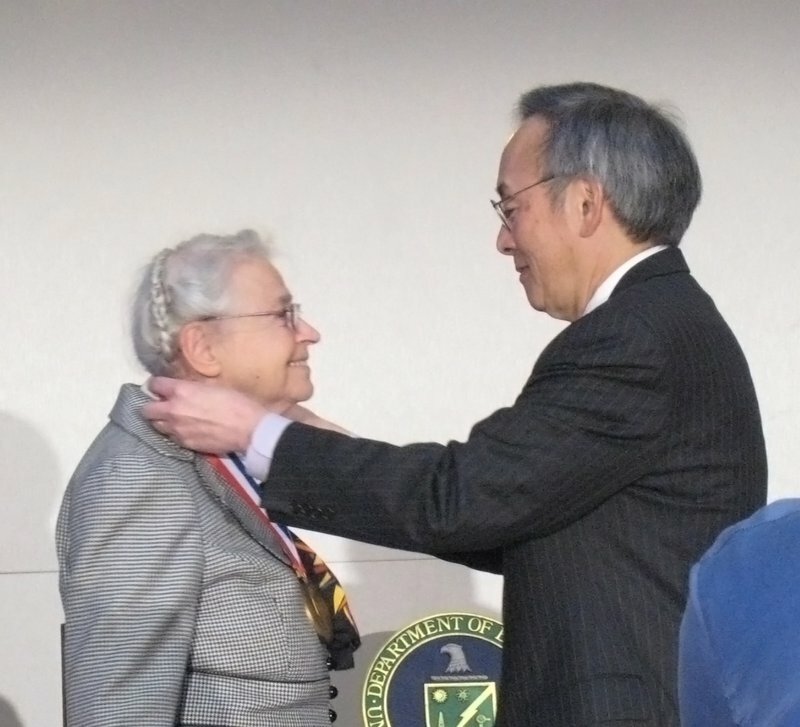 You may think that Millie’s asking questions was no big deal, but as the winner of the National Medal of Science and the Medal of Freedom, Millie’s insightful questions and humble attitude lead to an interesting phenomenon: the rest of the audience desperately wanted to hear her inspiring and insightful questions. Millie asks a question, and a starstruck conference participant takes a picture. Imagine what it was like! A large exhibit hall packed with people, the presenter just finishing his talk at the front, and the rustle of papers and clothing as people prepare to leave. Then, Millie gets up and walks slowly towards the microphone, to ask a question. Suddenly, the hall goes quiet. The people preparing to leave suddenly sit back down. The sounds of rustling and muttering die down to nothing. Everyone turns their eyes to her, not wanting to miss a single word. How focused could Millie be? I share the following (somewhat embarrassing) experience with you as an example. Actually, I considered switching to a different, less awkward example, but upon introspection, I decided to bite the bullet and tell you everything. 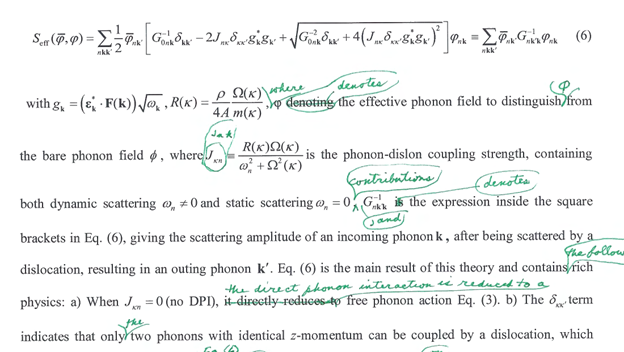 The following image is my paper as marked up by Millie (in green). In equation (6), there is a coefficient JNK — yet two lines down, I mistyped it as “JKN”. I overlooked this error even after multiple rounds proofreading — but Millie caught it! I sincerely wish that I had never made such mistake, so as to leave her more time to help people other than myself, and I felt horribly embarrassed at such a silly mistake. But I was also impressed at her meticulous attention to detail, which caught the error. Millie emails that she is a little late but still in her office and ready to work. The email is sent at 5:39 AM. In fact, Millie's work ethic is even stronger than that. Despite being 86, she came into the office every morning at 7:30 AM to start her day with the fresh morning air. At that time, the entire city had only just woken up; everything around us is calm and efficient. We cherished our meetings at that time of the morning. She was always so busy after 9 AM that I would wake up early so I could drop in and meet with her around 7:30 AM, giving us the opportunity to have longer and more in-depth meetings and discussions. Google Scholar is helpful for finding articles, but it is often less helpful if you want to search for a particular scientific problem. The search engine has trouble linking the papers it finds with the specific scientific problems that the searcher is trying to solve. Yet if you discuss your scientific inquiry with Millie, she will immediately and easily refer you to something that can help: either a paper, or an expert who knows the issue inside and out. Her mind was sharp and quick, always able to grasp the key points — but unlike other professors who talk at the same speed as their thought process, Millie would slow down and explain her ideas patiently and clearly. I always found the pace of her speech to be perfect — neither too fast nor too slow. And, most importantly, Millie always displayed a calm and contemplative attitude, and had a smile that was refreshing and invigorating, like a spring breeze. I still vividly remember three months ago, in an optics and spectroscopy seminar, how Millie gave a presentation and stood all the way through it. She announced to the audience, “I’m 86 years old, and I’m still working every day. So please, keep working!” I still remember how warm and enthusiastic she sounded at that moment. It will forever linger in my memory. Millie’s support for her students also goes far beyond mere paper revision. She cared so deeply and profoundly for the students in her group. I’ll give you an example from my own experience. Whenever I remember it, I feel an overwhelming sense of gratitude. Recently, while doing theoretical work, I proposed a new quasiparticle (we coined its name, “dislon”, together), and Millie was very interested in it. We both believed it was incredibly important, so we were hoping to publish our results in a high-impact journal. However, during the process of anonymous review, I encountered tremendous difficulties. As a new field coming from nowhere, sometimes the reviewers (surprisingly) didn’t bother to read the abstract. I was disheartened, but Millie wouldn’t let me give up. She encouraged me and lifted my spirit, telling me, “This is just what happens, when you start a new field. It is the price to pay if you want to be a scientific pioneer. Back in the 1960s, all my most important papers would go unnoticed for 5-10 years, with no exceptions! So keep trying, and keep improving.” I told her that I understood, but I still wanted to publish our paper in a good journal. She understood and supported me in this endeavor. 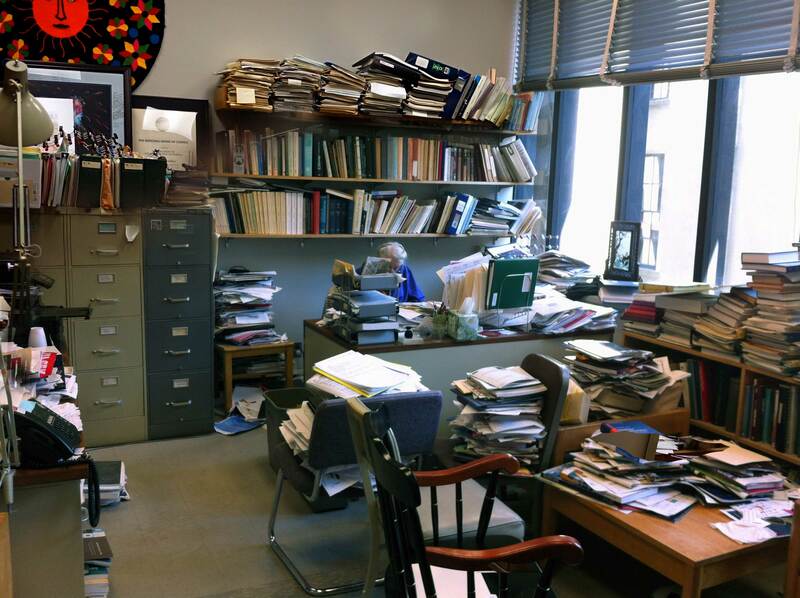 I knew that, as a member of National Academy of Sciences, she had the ability to skip the standard review process and make the paper more easily publishable in a high-impact journal. However, she didn’t choose to support me in that way. Instead, after the paper was rejected by the sixth journal, she sat down with me and my another mentor, Prof. Gang Chen, and asked the following questions: Why does this paper keep being rejected? Did we do something wrong, or did we not make things clear enough? We discussed the referee opinions as neutrally and objectively as we could, and we eventually concluded the latter — we had not made things clear enough. Thus, we decided to improve the paper further, in order to make it simpler and easier to understand. Millie respected the scientific review process too much to bypass it, and would rather spend a hundred hours helping me improve the readability of my paper, rather than skip over the review process and publish a paper that is difficult to understand. This is genuine support, because it showcases my strengths instead of her privilege. I’m sure this demonstrates what a remarkable role model Millie really was. She loved her work, she believed strongly in mentorship, and she cared so deeply for her students. In fact, Millie NEVER, EVER allowed a students’ non-academic personal affairs to swamp them enough that they could no longer spend 100% of their energy on science. She helped students with visa problems, family problems — anything, so her students could focus on the science. Perhaps this makes you think Millie a workaholic. This might be true, actually. But at MIT, who isn’t? In addition, I also want to say that Millie loved her family very much. She was a great mother, who raised 4 children. Not only are each of them outstanding, but they are also kind and relatable people. Millie once told me that, “Family is extremely important in the long run, yet not every young person has realized this, at that point in his life.” Millie was also an avid violin-player, and she played string trios or quartets nearly every night at her home. I have two more anecdotes to share, before the end. May Millie rest in peace.